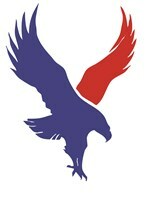 Eagle Construction - Bathrooms, Home Improvements, Kitchens based in Hooley, Surrey. Father and son team with over 40 years combined experience in the trade. Both Tom and Bob specialise in kitchens, bathrooms and general home improvements. No job is too small, from a toilet leak to a whole kitchen refit. We are the guys who know and are happy to help.